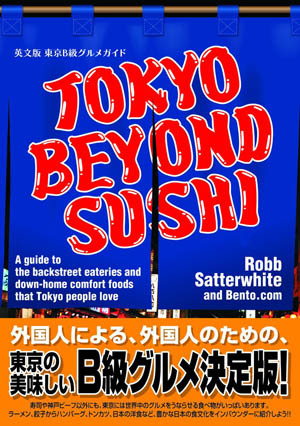 Spread out vertically over four narrow floors, this old-fashioned izakaya offers fantastic, very creative kushiage - some of the best we've found in Tokyo - along with a small but well-chosen sake list. Picky eaters beware though - there's no a la carte menu, just whatever special skewers they've devised for your dining pleasure that night. During a recent visit these featured some unusual items like sukiyaki-flavored tofu dumplings, cream cheese with takuan pickles and nori, and chrysanthemum greens with ground pork. Other highlights included the excellent home-made bacon, chicken meat paired with very tender chunks of gobo, and octopus in miso. 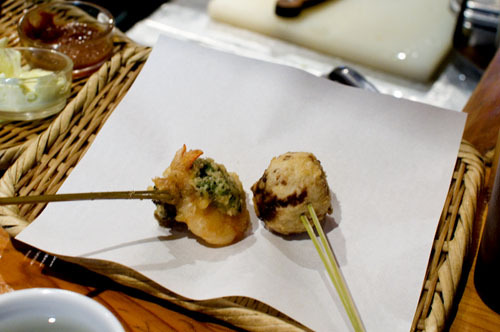 The first round of five skewers will run Y1200 per person, and after that it's Y580 for each additional set of three skewers. 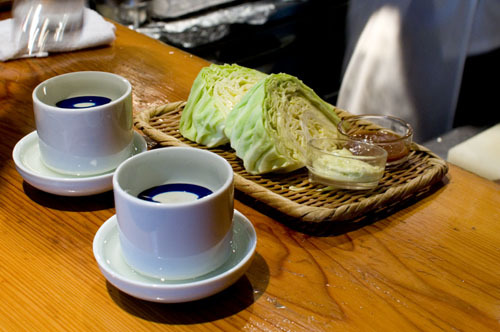 The initial round comes with a helping of crunchy raw cabbage on the side along with two excellent sauces to dip it in - a garlic-heavy spicy pepper dip and a pungent wasabi dip. 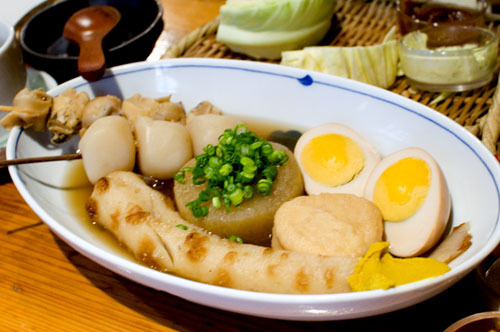 Their bowl of assorted oden (Y1200) is highly recommended as a side dish, and is big enough for two to share. 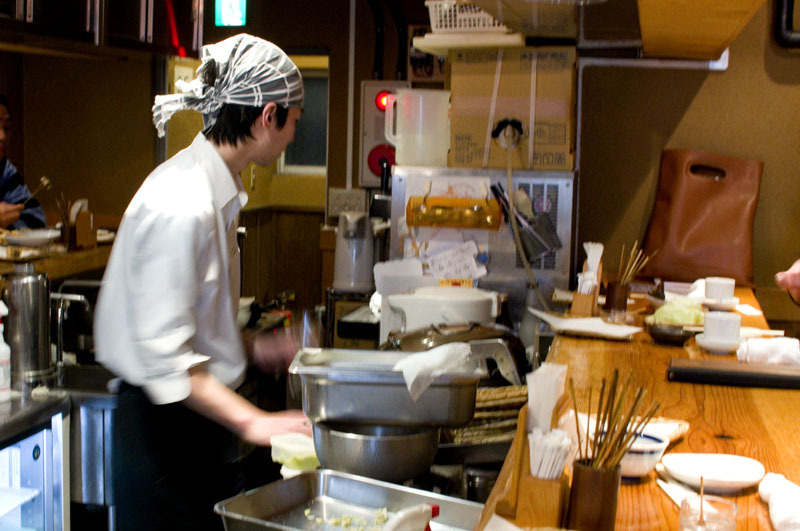 Drink options include five or six craft sake, most on the karakuchi end of the scale and all chosen to stand up well to fried foods. The lunchtime menu is geared more towards traditional tempura items like prawns, cuttlefish, whiting and seasonal vegetables, with teishoku lunches priced Y750-1100. Budget around Y4000 for food and drink at dinnertime. Shinjuku-ku, Nishi-Shinjuku 1-14-2, Kojima Bldg B1F-4F.